The Boulevard hotel connects to the Mid Valley Mega Mall via a corridor from the hotel’s lobby. You cannot get closer to shopping than this! I scored a really cheap deal for the night and suppressed the need to make a big deal of the iron burn in the carpet of the entrance thinking I would only be using the room to sleep. On retrospect now, it is the first thing I remember when I think about that hotel! The room was high up offering a view of nearby apartment buildings and the road below. The lobby I did find to be a little chaotic with the flow of people coming and going. I would not describe the hotel as a resort hotel, but rather a city and business hotel, perfect for a shopping weekend. The hotel does have its own taxi service which is handy. Shopping malls are a bit of a culture in and around the city and the bigger ones can be found outside of the tourist golden triangle in the suburbs of Petaling Jaya and Mid Valley. They offer levels upon levels of retail shopping, food courts, restaurants and entertainment, basically mini cities where one could easily spend a day at. 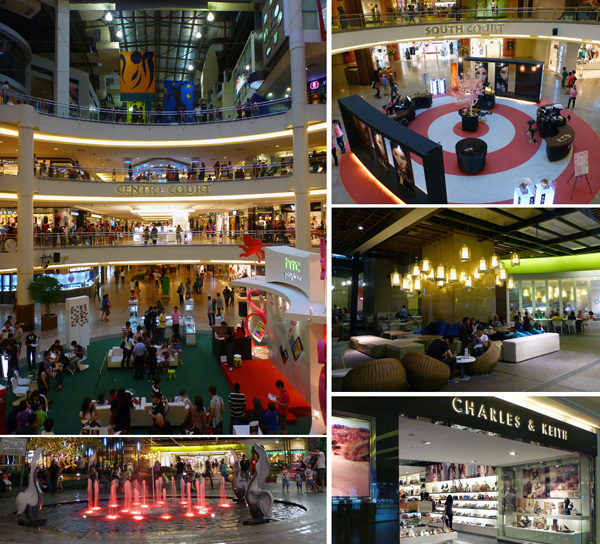 The malls are generally open from 10:00 am until 10:00pm and they offer a cool haven from the humid Malaysian weather. In the land of shopping malls it is not uncommon to find one mall attached to another or even attached to an entertainment park. Mid Valley Mega Mall is certainly mega with over 430 retail malls and doing a little maths, 3 minutes per store equates to seeing everything in the mall in just 24 hours. Over ambitious? There is also a fitness centre and 18 screen cineplex with screenings at midnight! (a novelty for this Perth girl). Almost all places accept cards and it is considered the normal protocol for staff to attentively follow you throughout the store. Try asking for a product in the package, they may have one available for you. The department storest include Carrefour, Metrojaya and Jusco. The department stores always have some fairly good deals. The Gardens Mall caters for the high end shopper with brands such as Louis Vuitton and Versace. At 200 stores the mall is quieter than its counterpart next door. 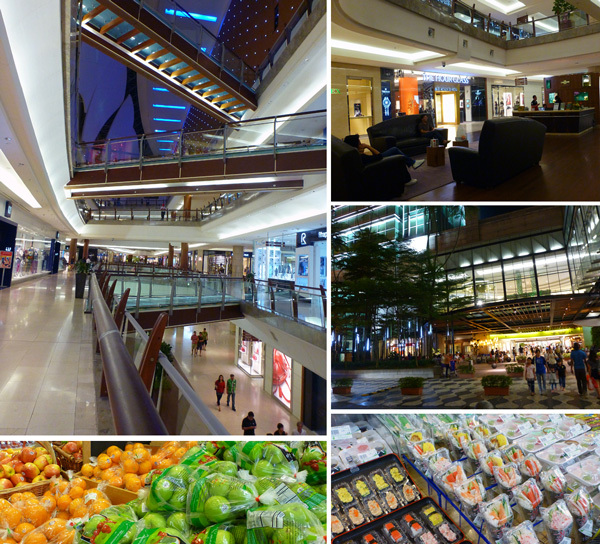 The basement level has a great food court and upmarket supermarket. 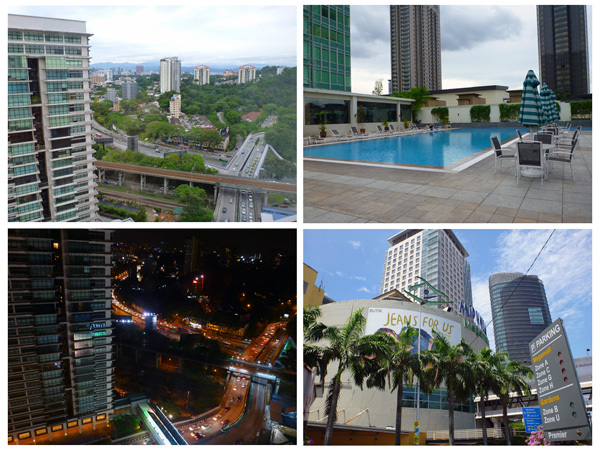 There is a boutique cinema, karaoke, Cocoon wellness centre spa centre on level 4. The big department stores include cold storage, Robinsons and Isetan. A Malaysia shoe, accessory and bag brand. Female fashion, I love the jeans! Work clothes. Also great for guys shirts and suits. European ladies and men fashion. Dinning alone can be a little daunting, even more so when in unfamiliar surroundings. It also can be peaceful and energising. Small takeaway juice counter serving up freshly squeezed juices. Nothing beats a crisp cold juice – fresh! Juice Works was a welcomed discovery when i walked past it at The Mid Valley Mall and then again in The Pavillion. I loved the lychee Paradise a combination of lychee, lemon, mango and apple juice and the cranberry crush a combination of cranberry, lime and strawberry! A supermarket with just about everything you’ll need for 24 hours from fruit to sushi rolls and wine. If you are in Malaysia you have to try the stumpy bananas, they are beautifully sweet! I spotted a casual Japanese restaurant with bench seating around the counter. Sushi Zanmai had a really nice menu and sitting on a counter I didn’t feel so alone. I ordered a spider sushi and some karage chicken. This Kiosk style Japanese eatery is located in the Market Hall of The Garden Mall. 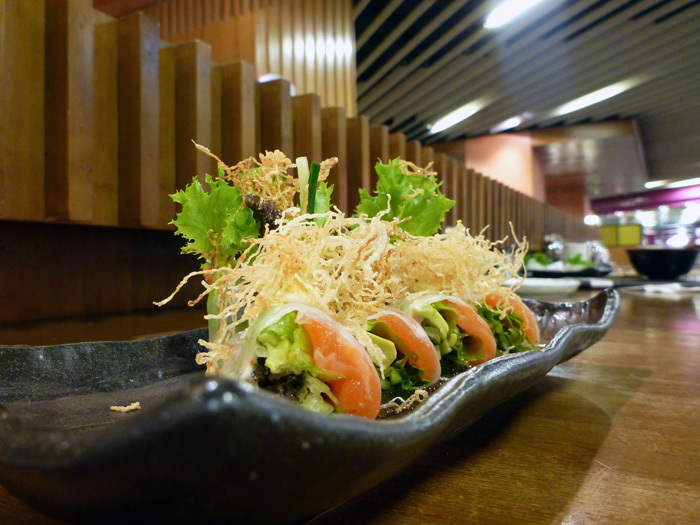 Presentation and taste – amazing! Kaya Toast and a tea for only 3.80 MYR! Not bad for a quick breakfast. Kaya Toast is an interesting snack found in Malaysia and Singapore. In between the toast is a spread of eggs, sugar, coconut milk or jam and a slab of butter. It’s something I will try again when I go back to Malaysia. Some places even make the coconut jam from scratch. My Toast is located in the lower ground level of The Gardens Mall in Mid Valley, walking distance from the Boulevard Hotel. The journey to the airport to catch the flight back to Perth was effortless. 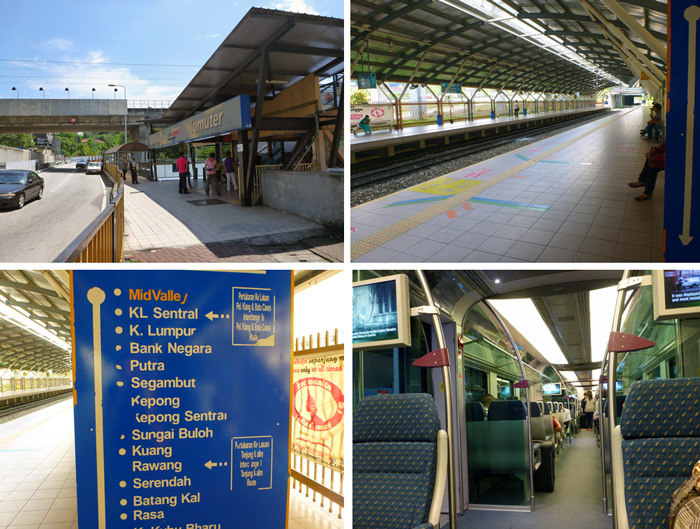 Mid valley station is one stop away from KL Sentral station where the airport bound KLIA Ekspres train departs from. Malaysian Airline passengers can check in their luggage and collect their boarding pass at the KL Sentral counter. A few other airlines offer this service as well. I have experienced my fair share of erratic and crazy taxi drivers, I have even been on the border line of passing out from holding my breath from fear! Catching the airport train was a breeze! Travelling solo does have its perks, but, by the end of travelling I was missing friends and family! Staying at the Boulevard Hotel was convenient for my 24 hour stay and everything was accessible a few metres away. The Gardens Residence is another hotel that connects to the Gardens Mall. I felt safe and had no need to jump into a taxi, everything was accessible a couple of metres from the hotel. I did feel a little uneasy at the Mid Valley station, maybe because it is not the cleanliest and welcoming of stations. There is a female only travelling car, take this!